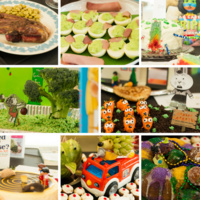 Towson University in Northeastern Maryland is hosting its third annual Edible Book Festival! Participants will create entries inspired by a favorite story, a pun on a title or author name, or anything that expresses a love for literature! All entries will be displayed, judged, and eaten. Student entries are eligible for prizes.